INDUSTRY.co.id - Jakarta - 2018 is a political year where many people are full of consideration in doing business in Indonesia. Nevertheless, the Indonesian Motorcycle Industry Association (AISI) is optimistic that motorcycle sales this year will jump from last year. 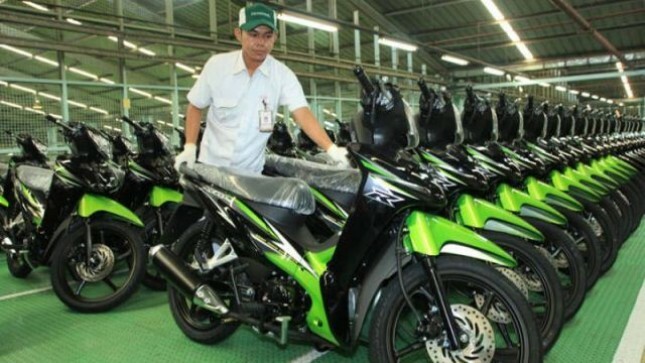 The growth of Indonesian motorcycle sales in 2018 land puppy is predicted to reach 6.1 million units. Target at the beginning of this year is actually slightly below the initial sales target of 2017 which amounted to 6.2 million units. However, the target was re-revised to 5.9 million units and again revised to 5.75 million units. "Target 2018 ranges from 6 million to 6.1 million," said Chairman of AISI Commercial Field, Sigit Kumala, Friday (12/1/2018). Comparing with the achievement of motorcycle sales last year, the target set this year is actually not too high. In AISI data, the distribution of motorcycle from factory to dealer in 2017 was 5,886,103 units, or down 0.7 percent from 2016 of 5,931,285 units. The potential to reach the target is still open, especially each motor manufacturer still has a 'weapon' to increase market passion. Play in Automatic segment for example. Motorcycle producers certainly still have a trick to attract consumer purchasing power, because this segment dominates the motorcycle market with a market share of 82.37 percent.